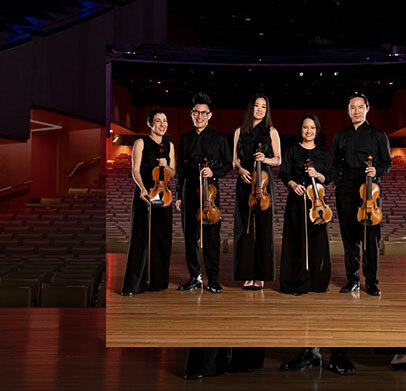 Camerata is a Company in Residence at the Queensland Performing Arts Centre (QPAC). Camerata was founded in 1987 by acclaimed string educator Elizabeth Morgan AM, as an idealistic ensemble of emerging Artists which she then formed into a professional chamber orchestra in 2005. Performing without a conductor, the Artistic Associates and their guest artists proudly take full ownership of the music to form a thriving, refreshing and acclaimed voice within the Australian arts landscape. 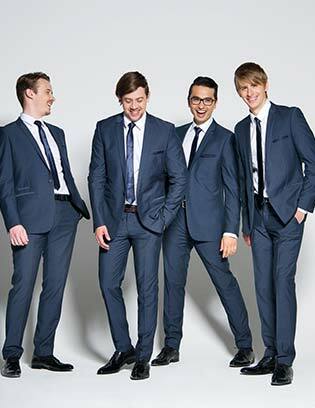 The constantly evolving group undertakes a major concert season annually in both Brisbane and Toowoomba. In addition, the orchestra perform regularly in festivals, collaborations, regional tours, live-to-air national broadcasts, recording, and fundraising activities. As a Queensland ensemble, Camerata provides career and performance opportunities for string players who wish to build a professional, international career from Brisbane, and as a point of attraction for those returning from overseas. Camerata's primary aim is to empower artists, inspire audiences, and enrich communities through music. Camerata performs a variety of styles of music in traditional and non-traditional spaces throughout the state and delivers workshops, school talks and concerts to support the education of young string players. Camerata has a reputation for innovation and interesting and adventurous programming. The ensemble is extremely flexible in its repertoire and in the way it combines works in programs, playing the core "classics" as well as new and recent music, and Australian music. Camerata regularly works with performers outside the 'classical' sector. Camerata has established itself as a chamber orchestra of national significance with an outstanding track record of artistic achievement. Elizabeth Morgan AM was formerly Lecturer in Violin and Viola at The University of Queensland for 18 years and, for 14 years, was Adjunct Senior Lecturer in String Studies and String Pedagogy at the Queensland Conservatorium of Music, Griffith University where she continues as a part-time staff member. Born and educated in the UK violinist/violist Elizabeth studied at Trinity College of Music London with Jan Sedivka (Sevcik, Thibaud, Kocian, Rostal tradition) and was the British representative in Canada for the International Concours Jeunesses Musicales masterclasses with Henryk Szeryng. She is widely known for her contribution to the development of string teaching in Brisbane, Queensland and Australia. 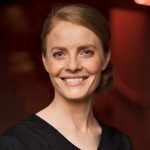 Formerly a member of the Queensland Symphony Orchestra, the Mayne Quartet, the Mayne String Trio and the University of Queensland Sinfonieta, she has given workshops and lectures, and has toured throughout Queensland, Australia and the USA. She has toured twice to important centres throughout New Zealand and has remained a regular lecturer. Elizabeth has received citations from the American String Teachers' Association - "for outstanding leadership and service", from the Australian String Teachers' Association (AUSTA) Queensland, and from the Queensland Youth Symphony Council "for services to the orchestra in its early years". In 1989 she was awarded The University of Queensland's prestigious Excellence in Teaching Award, and in 2000, the AUSTA National Distinguished Service Award. In 2002 she was placed on the first Honour Roll of the International Viola Society, Australia and New Zealand Branch. In 2003 she was appointed as Federal Examiner (strings) for the Australian Music Examinations Board (AMEB). In Queensland she is an AMEB Senior Examiner, member of the Queensland State Advisory Committee and Chairman of the String Specialist Panel. She reviewed the complete Viola Syllabus for AMEB and has contributed to the development of numerous string syllabuses and Work Books for AMEB. Elizabeth has undertaken projects for the Australian Broadcasting Commission (ABC), Youth Music Australia, Hong Kong Academy of Performing Arts, Australian Examinations Board (AMEB), the Australian National Academy (ANAM) and Education Queensland's Fanfare Programme. She was a member of the founding committee for Musically Outstanding Students (MOST) programs for which she was advisor, conductor and tutor for many years. In addition she has pioneered numerous innovative string programmes throughout Queensland and regularly adjudicates throughout the country. 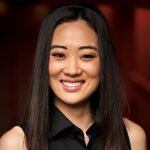 Her initiatives include the National Youth Concerto Competition, the Taabinga Spring Music Festival, and Camerata - Queensland's Chamber Orchestra. In 2001 she was responsible for bringing International Workshops for the first time in the southern hemisphere to Queensland Conservatorium Griffith University, which resulted in the attendance of 500 national and international delegates. In May 2004 she was President of the Jury for the 11th International Violin Competition "Andrea Postacchini" in Fermo, Italy. In 1975, Elizabeth became the founding president of the Australian String Teachers' Association (AUSTA), a position she held for four terms. Through this organisation she brought leading string performers and educators to Australia, directly influencing the development of string teaching in Australia. 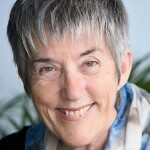 Elizabeth introduced the first string pedagogy course into Australia in 1978 while lecturing at The University of Queensland. She has also presented the comprehensive string pedagogy programme at the Queensland Conservatorium Griffith University, arguably the most comprehensive string pedagogy course available. She was a founding member of the International Council of String Teacher Associations (CISTA) and formerly Chairman of Dalcroze Council of Australia. In the Queen's Birthday Honours 2013, Elizabeth was made a Member of the Order of Australia, for "significant service to music education, particularly the violin." Brendan Joyce’s leadership of Camerata was recently described by The Australian as dynamic and in Limelight as indefatigable. 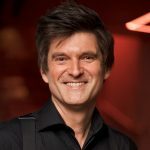 He frequently appears as soloist with the group, has led for milestones including its first recordings, tours, broadcasts, collaborations, and in acclaimed performances at the Tyalgum Festival, Darwin Festival, Queensland Music Festival and the Australian Festival of Chamber Music. Brendan is an alumnus of the original version of Camerata that played to critical acclaim 1987-1997. In demand as a leader and concertmaster, Brendan performs regularly as leader of the Orchestra of the Antipodes in Sydney, and for many years appeared as a guest Concertmaster and member of the Australian Brandenburg Orchestra. With the latter he performed the premiere on period instruments of Max Richter’s Vivaldi Four Seasons Recomposed. During his youth orchestra days he led the Queensland Youth Symphony and Australian Youth Orchestras. Brendan has played with the Australian Chamber Orchestra, America’s Smithsonian Chamber Orchestra, and has played the complete cycle of Bartok’s iconic String Quartets as a member of the Kurilpa String Quartet. Brendan attained a Doctor of Musical Arts in Violin Performance from The University of Maryland, USA, receiving awards there for his leadership of the Maryland Handel Festival Opera Orchestra, as well as for presentations and premieres of the music of twenty Australian composers. His early teachers included Joyce Crooks, Lyn Darveniza and Stephen Frewen-Lord in Ayr, Queensland, where he was born and raised. He undertook extensive studies and mentoring with Elizabeth Morgan AM in Brisbane. Brendan also studied in the United States with Gerald Fischbach, and in chamber music with David Salness and the Guarneri String Quartet. Brendan Joyce is Artistic Director and Leader of Camerata. He was born in Ayr, North Queensland and moved to Brisbane at the end of high school to study music at the University of Queensland. He furthered his musical studies in the USA and attained a Doctor of Musical Arts. His leadership of Camerata was recently described by The Australian as dynamic and in Limelight as indefatigable. In demand as a leader and concertmaster, Brendan leads for Orchestra of the Antipodes and Pinchgut Opera in Sydney. Over a 20 year period he has played with the Australian Brandenburg Orchestra, including as guest Concertmaster and most recently as soloist in their world premiere performances on period instruments of Max Richter’s hit work, Vivaldi Four Seasons Recomposed. During his youth orchestra days he led the Queensland Youth Symphony Orchestra and Australian Youth Orchestra. He has played with the Australian Chamber Orchestra and America’s Smithsonian Chamber Orchestra, and during 2011 to 2013 performed the complete cycle of Bartok’s iconic String Quartets as a member of the Kurilpa String Quartet. Jonny used to be all about drugs and rock & roll: a pharmacist and a musician. Two years ago, Jonny hung up his lab coat to focus entirely on his passion: music and music education. He is a violinist, violist, and pianist; enjoys teaching all three instruments as well as instrumental and choral accompanying, composing, arranging, and conducting. Jonny is Principal Second Violin and Education Officer for Camerata of St John’s, pianist in Ensemble Entourage for Musica Viva In Schools, upper strings and piano teacher at St Margaret’s Anglican Girls School, and regularly tutors for the Queensland Youth Orchestra. From a young age, Jonny has had the privilege of touring all around Australia and the world doing what he loves: playing music. During that elusive down time, Jonny enjoys spending it with his loved ones, cooking, reading, and catching up on sleep. Playing the violin is one of Tiana’s favourite things to do. She knew from an early age that she wanted to become a professional violinist and is so grateful that this dream came true as she absolutely loves playing music all day long. Tiana began learning at the age of 12 from her teacher and mentor, Elizabeth Morgan AM who significantly influenced her violin playing and continues to be at the core of her inspiration and passion for musical performance. In 2009, Tiana graduated from the Queensland Conservatorium of Music with a Masters of Music majoring in Violin Performance and String Pedagogy. Tiana says, I absolutely love playing in Camerata especially because of the other wonderful players; they are not only my colleagues but are also my Camerata family. I also love the new and interesting pieces I have been able to perform through being a member of this ensemble. Born in Sydney, Yena Choi began playing the violin at the age of four. She graduated with a Bachelor of Music with First Class Honours, studied at the Australian National Academy of Music and is currently completing a Masters in Philosophy as the recipient of an Australian Postgraduate Award. Yena has been an emerging artist with the Sydney Symphony Orchestra, Britten-Pears Young Artists UK and spent a year working with London-based Southbank Sinfonia. During her time in London she worked as an extra with the Royal Opera House Orchestra, featured as a soloist with Southbank Sinfonia and recorded for BBC Radio 3. Yena has played at various festivals within Australia such as AFCM, Musica Viva, Crossbows Chamber Music, Melbourne and Bangalow festivals; and overseas at New York University’s Winter Strings Conference, Anghiari Music Festival in Tuscany, Aurora Chamber Music in Sweden, Chipping Campden Festival UK and Cervo Music Festival in Italy. Upon returning to Australia, Yena has enjoyed collaborating with varying chamber ensembles (duos, piano trio, string quartet and contemporary ensembles) and freelancing with orchestras across the country. Yena currently plays a 1690 Tononi on private loan. Sally-Ann is a Scottish violinist who grew up in Glasgow. She studied (very hard!) at the Royal Conservatoire of Scotland, Royal Academy of Music and Queensland Conservatorium of Music. Her first job was with the Bingham Quartet (London) but she also enjoyed a freelance career playing with many fine UK orchestras, including the Royal Philharmonic Orchestra and the Scottish Chamber Orchestra plus some onstage performances at the National Theatre (alongside Fiona Shaw, who played Petunia Dursley in the Harry Potter films). Her best gig ever was making icicle noises for a BBC documentary about Antarctica for which she was paid rather generously for the minimal effort involved! Her most dangerous gig ever was when the Mikado fell into the pit breaking her bow in half in a performance in Geneva. In her time off Sally-Ann enjoys spending time with her children (aged 6 and 8), baking, reading, and international travel. She loves playing in Camerata and thinks the choice of music is really original and exciting (and hopes you do too). Anne trained at The Australian Institute of Music and performed for seven years with the Australian String Quartet. 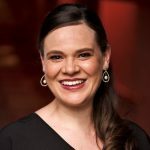 Camerata welcomed Anne as an Artistic Associate at the end of 2017 following her move from Canberra to Brisbane. Jason has been playing the violin for over twenty years and also enjoys playing the piano and Otamatone usually with mixed results (find a video of someone playing Otamatone, you won’t regret it!). When Jason is asked the popular tricky question, who’s your favourite composer?, he answers with, Most of the ones with whose last names start with ‘B’. In his spare time he enjoys bicycle riding, swimming, picnics, hanging around with friends, and trying all kinds of food from other cultures. Allana is a violinist of Camerata of St. John’s and completed her Master of Music Studies at RNCM, Manchester, having been awarded an International Experience Incentive Scheme Grant by the Queensland Conservatorium, where she completed her prior studies with Elizabeth Morgan AM. Allana holds an LMUSA and ATCL Recital and has appeared as a soloist with the Conservatorium Symphony Orchestras performing Bartok, Tchaikovsky and Bruch violin concertos. Allana was a member of the Australian Youth Orchestra for their 2010 appearance under Sir Mark Elder at the BBC London Proms and the Amsterdam Concertgebouw. Allana regularly performs with the Queensland Symphony Orchestra and in 2009 completed her training with Meredith Page to become teacher of the Alexander Technique. Alice made her first musical sounds on the violin when she was 7, but discovered her true voice on the viola at 15. From then on there was no going back; music was the only thing for her. Alice is equally passionate about string pedagogy and performance, and is very thankful that she has the opportunity to do both. She loves to travel and experience the sights and sounds of the world. Alice is very happily married to theatre sound designer and composer Dane Alexander, and enjoys attending plays and contemporary theatre just as much as concerts. If she has a spare 15 minutes you’ll find her in a comfy chair with a good book and a nice cup of tea. In addition to her life in music, Alice also coordinates a support network for refugee families on the south side of Brisbane. Anna has recently relocated back to Brisbane after several years living and performing in London. While in London she performed with prestigious orchestras and chamber ensembles, and toured throughout Europe and China. Highlights in London included performing on the BBC One Show, working with celebrity conductors on the BBC Maestro series, and performing with Amanda Palmer and the Grand Theft Orchestra. 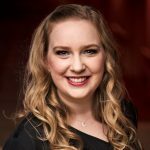 Since returning to Brisbane in 2014 she has been performing with the Queensland Symphony Orchestra, Camerata of St Johns’, Revision Orchestra, and other freelance chamber ensembles. Before moving to London Anna was a member of Fyra String Quartet and the Sculthorpe Quartet, touring extensively in Queensland and NSW, premiering works by Peter Sculthorpe, Elena Kats-Chernin and Matthew Hindson and performing at the Australian Festival of Chamber Music. Anna has a Master of Music Studies from the Queensland Conservatorium of Music. Elizabeth completed a Bachelor of Performance and Pedagogy on Violin at the Queensland Conservatorium of music, studying with Elizabeth Morgan AM. After prompting, she picked up a viola and after discovering the deeper sounds, has never looked back. Elizabeth describes her most notable performance being When times Stops with EDC. Performing on stage from memory with the story and physicality of the dancers moving around was enormously challenging and rewarding. Elizabeth enjoys making music with friends in many smaller chamber groups. She has a passion for sharing music in rural areas. Her favourite thing about Camerata is touring to regional QLD and taking music to those who can’t easily access live music. I love seeing the faces of school kids hearing an orchestra’s sound for the first time. Katherine was born into a very musical family in the town of Murwillumbah in Northern NSW. After beginning cello studies at age 14 she moved to Brisbane to complete a Bachelor of Music, studying with Markus and Mei-Lee Stocker. Since then, she has developed an interesting and fulfilling freelance career playing variously in Camerata, the Queensland Symphony Orchestra, Kurilpa String Quartet, Musica Viva In Schools, playing as a soloist, playing as a guest in various bands, recording sessions, summer veranda jam sessions, appearing at folk and classical festivals around Australia, and most recently has been perfecting the art of playing Baa, Baa, Black Sheep on the guitar, accompanied by her two-year-old daughter on the descant recorder. After completing his musical studies in Marseille and Paris, France, Nathan has enjoyed a diverse musical career. Nathan has worked in conjunction with a number of leading composers in Europe for the commissioning of new pieces, as well as working with early music ensembles specialising in the music of the Baroque era. Shannon has been a long-time member of Camerata. She also performs with other music ensembles and orchestras such as the Queensland Symphony Orchestra. Shannon studied overseas in Switzerland for three years and had the wonderful opportunity to perform in the Luzern Symphony Orchestra. She likes a diverse range of music and has played with ballet and musical companies, likes contemporary classical music, and in the car she listens to Triple J. Shannon also thoroughly enjoys teaching and is currently the Director of Instrumental Music at Clayfield College. Marian was trained at University of Queensland and University of Southern California. During her studies she was awarded First class honours and was the recipient of the Rotary Foundation International Scholarship. 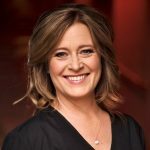 Marian’s performance highlights include Wagner’s Ring Cycle Adelaide 2004; touring Asia with Chicago the Musical; touring Australia with Westside Story; touring Argentina with Tasmanian Symphony; performing Expressions Dance Company’s When time Stops with Camerata; and most recently performing with Edgar Meyer! Marian has also appeared with Melbourne, Western Australian, Adelaide, Tasmanian and Queensland Symphony Orchestras. At Camerata, Marian values how each individual player takes responsibility and pride in their work, and adores the string repertoire and management team. A graduate of the University of Queensland and the University of Tasmania, Chloe Ann Williamson maintains an eclectic and successful career as a freelance double bassist. Throughout her studies, Chloe was the recipient of many scholarships and awards including an Australian Postgraduate Award to undertake her master’s degree in music. While completing her undergraduate degree she was the principal double bass of the Queensland Youth Symphony as well as a member of the Australian Youth Orchestra, and toured internationally several times with them both. In 2009 Chloe spent a month studying in Quebec, Canada at the prestigious music festival Le Domaine Forget. Chloe has performed both nationally and internationally with a variety of Australian orchestras. A keen chamber musician, Chloe has performed at several chamber music festivals as well as a number of folk festivals across the country. In addition to her hectic performing schedule, Chloe is a passionate educator. Praised by the Sydney Morning Herald for their 'warmth of sound, sublime inner-voicing and spontaneity,' The Orava String Quartet is emerging as one of Australia's most exciting chamber music ensembles. Protégés of the world renowned Takács string quartet, the Orava Quartet has performed extensively throughout the USA, Canada, China, Philippines, Singapore, United Arab Emirates, and Hong Kong, and have performed for Queen Sofia of Spain and Pope Benedict XVI. Orava won the Musica Viva Australia Tony Berg Award for the most outstanding Australian ensemble as well as the Peter Druce Audience Prize at the 2013 Asia Pacific Chamber Music Competition in Melbourne. Orava Quartet have been in residence with Camerata since 2014 and its members are: Daniel Kowalik (violin), David Dalseno (violin), Thomas Chawner (viola), Karol Kowalik (cello). Brian Bartley is the founding partner of the firm Bartley Cohen which he established (as Brian Bartley & Associates) in 2000 after having been a partner at Corrs Chambers Westgarth and its predecessor firms since 1976. His principal areas of practice are professional negligence and professional disciplinary matters, mediation and general commercial litigation. 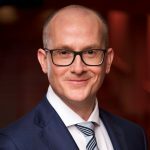 In addition to serving as Chairman for Camerata, Brian also is currently appointed to the QLS Ethics Committee, and at various times has been: President, Medico-Legal Society of Queensland; Member, Queensland Health Ethics Council; Board member, Centre for Law & Medicine, Bond University; Consulting Editor, Uniform Civil Procedure, Lexis Nexis; and Board member, Incorporated Council of Law Reporting. 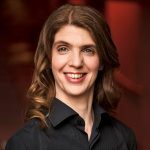 Libby Anstis has had more than 20 years experience in the performing arts industry with a variety of executive roles at Queensland Theatre Company, Queensland Symphony Orchestra, Brisbane Festival and Centenary of Federation Queensland. She holds a Bachelor of Business – Communication from Queensland University of Technology. She was also awarded a National Endowment of the Arts Scholarship to attend a Not For Profit Executive Leadership Program at Stanford University, USA. 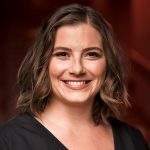 Libby has participated as mentor for Backbone Youth Arts 2High Festival and Youth Arts Queensland and various other emerging producers and arts managers. Board positions include Business South Bank, the Conservatorium Advisory Council, Brisbane Powerhouse (current) Camerata (current) and various funding assessment panels for state and federal governments. 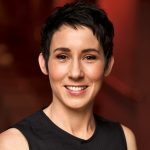 Born and educated in Queensland, Judith’s career has included secondary teaching, health education, journalism, human resource management, international marketing, general management, speech writing, and editing. The performing arts are an important part of her life as is her commitment to improving the status of women through membership of Zonta International. Nicola has more than 20 years of financial management experience across a variety of industries, with over 6 years in the performing arts industry. 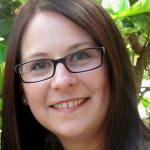 Starting her career working in the chartered accounting sector, after a few years Nicola moved into commerce taking positions in both Australia and the United Kingdom. 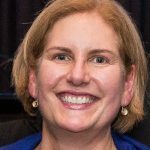 Nicola completed a Bachelor of Commerce at the University of Queensland in 1994 and was admitted as a member of CPA Australia in 2001. 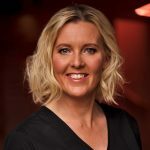 Jenny Hodgson is Senior Producer with the Queensland Performing Arts Centre and has produced classical, jazz and contemporary concerts, productions and events, including Helpmann Award-winning presentations by the Royal Concertgebouw Orchestra and Hamburg Philharmonic Orchestra. She also works on Out of the Box and was Managing Producer of the 2010 festival. She holds a Bachelor of Arts from University of Queensland, MBA from Queensland University of Technology and A Mus A and LTCL. 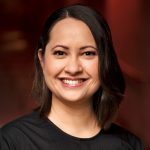 She has been involved with orchestral music as General Manager of the Queensland Philharmonic Orchestra and as non-executive director with the Queensland Symphony Orchestra. 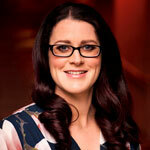 Jenny is a member of the Helpmann Awards Opera and Classical Music Panel. 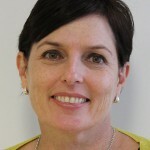 Anne-Maree Moon currently holds the position of General Manager, Tourism and Major Events for Brisbane Marketing. Anne-Maree is one of Queensland’s most experienced events marketing executives, with over 20 years’ experience in arts and entertainment marketing including roles as Associate Director, ACMN Marketing and Advertising, Director of Marketing and Ticketing at the Queensland Performing Arts Centre (QPAC) and National Marketing Director, Arts & Entertainment for International Management Group (IMG). 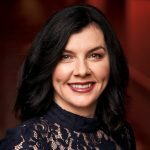 In these roles, Anne-Maree developed and implemented national marketing strategies for a variety of high-profile events and productions in addition to developing nationally-recognised audience development programs. Michael was born and educated in Brisbane. He was a secondary school teacher before joining the Australian department of Foreign Affairs and Trade, where he served in Australian embassies in Egypt, Saudi Arabia and Italy over a 17-year career. He was also a senior officer in the Queensland Government’s Trade Division for a decade, and the General Manager of a consulting company working in the Middle East. Michael subsequently worked as a Senior Adviser to the Governor of Queensland. Michael joined the Camerata Board in 2013 and is currently Chair of Camerata’s Artistic Board sub-committee. 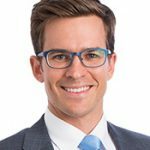 Ben Poschelk is a commercial in-house lawyer with an international development company based in Brisbane, specialising in health and education project implementation. Ben has practiced privately in the principle areas of property, corporate and insurance law. His commercial experience extends to business development in international trade and marketing food based commodities globally. In addition to serving as a Board member of Camerata, Ben is currently appointed to the Royal National Agricultural and Industrial Association of Queensland’s (RNA) Foundation as a Board member; Member, Brisbane Festival Giving Committee; Member, the Vincent Fairfax Family Foundation; and formerly a Member of the RNA’s Future Directions Committee. Doug Pye is a multiple award-winning corporate communication and engagement specialist, having led the development of a number of Australia’s most high-profile communication, corporate social responsibility, reputation, branding, strategic positioning and media campaign initiatives. He won the 2013 State and National Golden Target Award (PRIA) for the country’s best CSR/community engagement program with QGC, and with 15 years of communication experience, he has been responsible for the development and implementation of key internal and external communication and stakeholder engagement strategies for companies in the construction, infrastructure, banking/finance, mining resources, oil and gas, technology, commercial and residential property, sport, consumer and retail industries. Doug has a strong background in managing corporate clients, advising on areas including stakeholder and community engagement, reputation management, issues and risk, advertising, marketing, branding, multimedia, and public relations. Adam moved from regional Queensland to Brisbane to study a Bachelor of Arts (Drama)/Bachelor of Education (Secondary) at Queensland University of Technology (QUT). On completion he took his first teaching position at Caboolture State High School and during this time discovered an ability to dance. Returning to QUT Adam graduated an Associate Degree (Dance Performance) majoring in Ballet and Contemporary Dance and was given his first professional performance engagement with Expressions Dance Company’s education team touring Regional Queensland. Following a move to London, Adam enjoyed a successful career dancing in productions for: English National Ballet, National Theatre, Birmingham Repertory Theatre Company, Sadler’s Wells Theatre, Jasmin Vardimon Contemporary Dance Company, and Sir Kenneth Branagh. 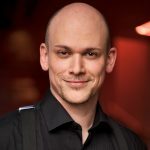 Returning to Australia, Adam transitioned to Arts Administration and worked in a variety of roles and on projects for Ausdance Queensland, Youth Arts Queensland, Circa, Queensland Arts Council, and Queensland Performing Arts Centre (QPAC). Adam went on to work for arTour (the peak tour coordination body in Queensland) coordinating tours state-wide for Queensland Ballet, Opera Queensland, shake and stir theatre co., deBase productions, three annual Queensland Touring Showcase events, and as Producer of a National touring forum with the Blue Heeler network. Since 2012 Adam has served as an Industry Peer for Arts Queensland on Music, Theatre, Dance, Festival, and Organisation funding assessment panels, and since 2016 as a Peer Assessor for the Australia Council’s Dance panel. 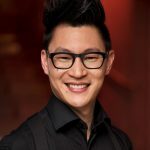 Adam was appointed as Executive Director of Camerata in February 2014 and in 2016 was selected to participate in the Australia Council’s 2016 to 2018 Arts Leaders Program. Graduating with a Bachelor of Arts from Queensland University of Technology, Angela has enjoyed a varied and interesting career as a Stage Manager, Technical Manager and Production Coordinator. She has worked in a variety of genres, including musical theatre, opera, special events, festivals and corporate functions. Angela began working with Camerata as a casual Stage Manager, and immediately felt a connection with the Camerata family and continues to be amazed and moved by the players’ versatility, passion and generosity. 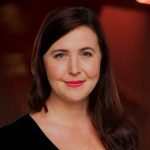 Emma-Kay (or EK as affectionately referred to) joins Camerata with over 17 years of administrative experience, the six most recent specialising in arts administration and event delivery. 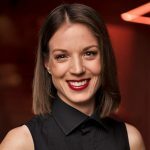 EK has worked in a variety of roles for: Queensland Performing Arts Centre, QMusic and the Australian Music Industry Network, OzTix and QANTAS. EK brings her knowledge and enthusiasm for event delivery, customer service, organisation and arts administration to Camerata in the role of Producer. EK shares a love of music, culture and the arts and is thrilled to work alongside the creative minds that make up the team at Camerata. Jason has been playing the violin for over twenty years and also enjoys playing the piano and Otamatone usually with mixed results (find a video of someone playing Otamatone, you won’t regret it!). As Rehearsal Manager, Jason supports our team ensuring that our players know when and where they need to be during performance seasons, and assists in making sure rehearsals run smoothly…and to time! Jonny used to be all about drugs and rock & roll: a pharmacist and a musician. Two years ago, Jonny hung up his lab coat to focus entirely on his passion: music and music education. He is a violinist, violist, and pianist; enjoys teaching all three instruments as well as instrumental and choral accompanying, composing, arranging, and conducting. 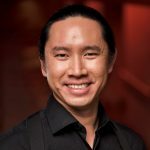 Jonny is Principal Second Violin and Education Officer for Camerata, pianist in Ensemble Entourage for Musica Viva In Schools, upper strings and piano teacher at St Margaret’s Anglican Girls School, and regularly tutors for the Queensland Youth Orchestra. From a young age, Jonny has had the privilege of touring all around Australia and the world doing what he loves: playing music. During that elusive down time, Jonny enjoys spending it with his loved ones, cooking, reading, and catching up on sleep. Auditions are held on an ongoing basis throughout the year. Musicians wishing to be considered for an audition or invitation to play with Camerata can express interest to do so at any time.